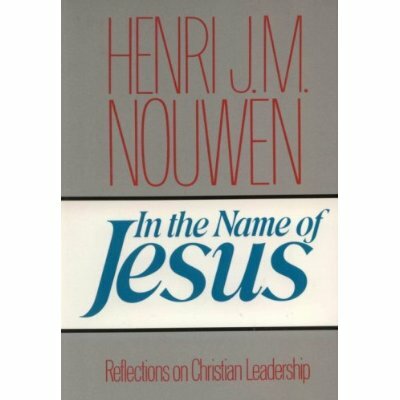 In the next three posts, I’ll be writing some thoughts from Henri Nouwen‘s book In the Name of Jesus: Reflections on Christian Leadership.This book is undoubtedly in my top five books on leadership from a Christian perspective. Whether you’ve read the book or not, feel free to interact with what I write here. Throughout the first section of part one, Nouwen contrasts the irrelevance of ministry with the push of our society for relevance. I struggled with this because I do not want my life or ministry to be driven by relevance, but do want to communicate God’s truth in a way that connects with people and is not obtuse. Here is my rendering of what Nouwen means by these terms. Does this catch the idea? Relevance: an obsession with success, impact, and practicality that is closely linked with the things we do rather than who we are. Nouwen writes: “The leaders of the future will be those who dare to claim their irrelevance in the contemporary world as a divine vocation” (35). I was impressed by how Nouwen brought attention to Jesus’ question of Peter: ‘Do you love me?’ He emphasizes that this love of Jesus is the central issue at hand in our ministry. Wow. These words cut to the core of our beings. Do I live in such a way that I proclaim the unconditional love of God to others? Do I know that love of God in my soul so that I can proclaim it to others? Nouwen brings this first part to a close by calling us to a life of contemplative prayer as mystic leaders. What all of this really means is attentively pondering the love of God throughout our lives. The question here is not only do we love Jesus, but do we live a life of love with Him. Again, Nouwen pierces to the heart. Who am I as a leader? Am I devoted to Jesus? Am I loving Him fully? Yesterday at Brooklife, I concluded the Storyteller series with a sermon on Luke 15 called “The Tale of Two Sons.” Luke 15 contains three parables by Jesus, the last of which is commonly called the parable of the prodigal son. My sermon focused on this parable, but I strongly believe that it should really be called the “The Tale of Two Sons” or “The Story of Two Lost Sons.” While a great deal of attention is often given to the younger son in this parable, I think it is important to recognize that what makes this parable unique is Jesus’ attention to the older son in the second half. The main point of this parable, in my opinion, is that God not only wants to save those who are clearly lost in sin, but also those who are ‘righteously lost’. This parable is really a challenge to the religious leaders who are listening to Jesus tell this stories. You can listen to the message online here or download our podcast here. For some background on this series and parables, read here. You can view the very simple presentation that accompanies my message below.